UNHCR special envoy and Hollywood actress Angelina Jolie is visiting Rohingya camps in Cox’s Bazar. 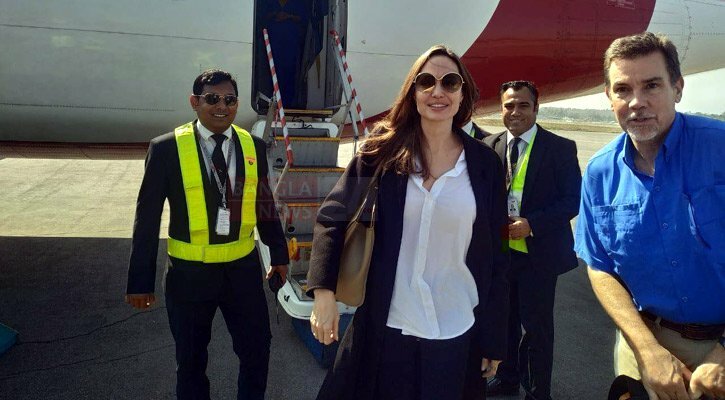 On her 4-day visit, Jolie set out on her journey towards Rohingya camps immediately after she lands in Dhaka. On Tuesday (February 5), she will hold a press conference after inspecting refugees’ conditions. Angelina Jolie was appointed special envoy in 2012.